A highly contemporary yet considered design, the Decca Floor Lamp by Heathfield & Co is inspired by the sleek designs of minimal interiors. 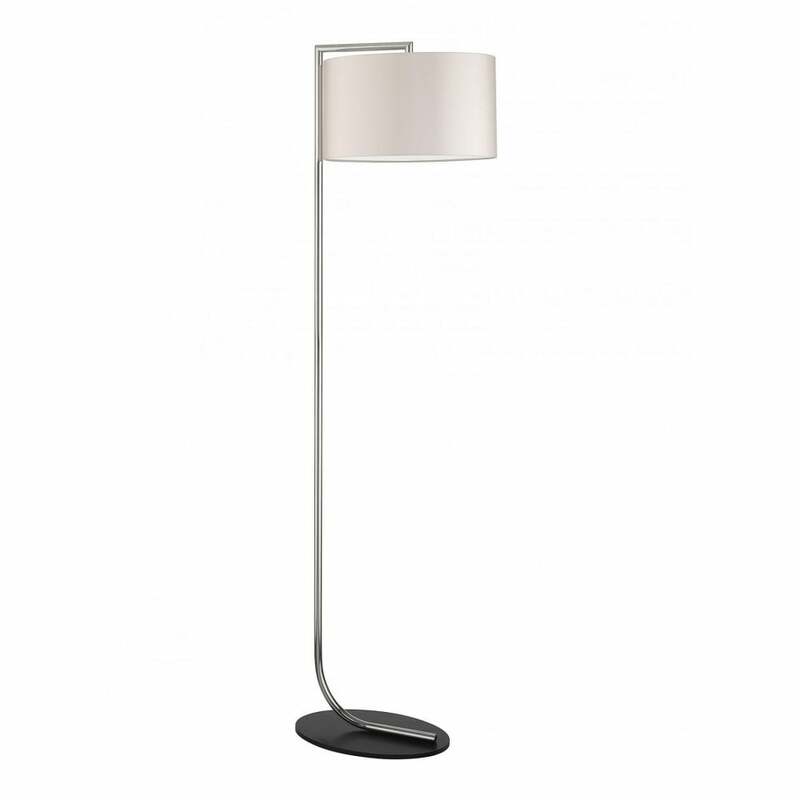 Presented in polished nickel and black satin, the floor lamp features an elegant curved stem with a round weighted base. Soft curves meet crisp angular lines creating a beautiful lamp with designer appeal. Place next to a corner sofa with plenty of plush cushions for a luxe look. The Decca range includes table lamp, floor lamp and wall light options. Make an enquiry for more information. Priced for 16" Bubble Oval shade with silk outer and white pvc lining. Other options available.